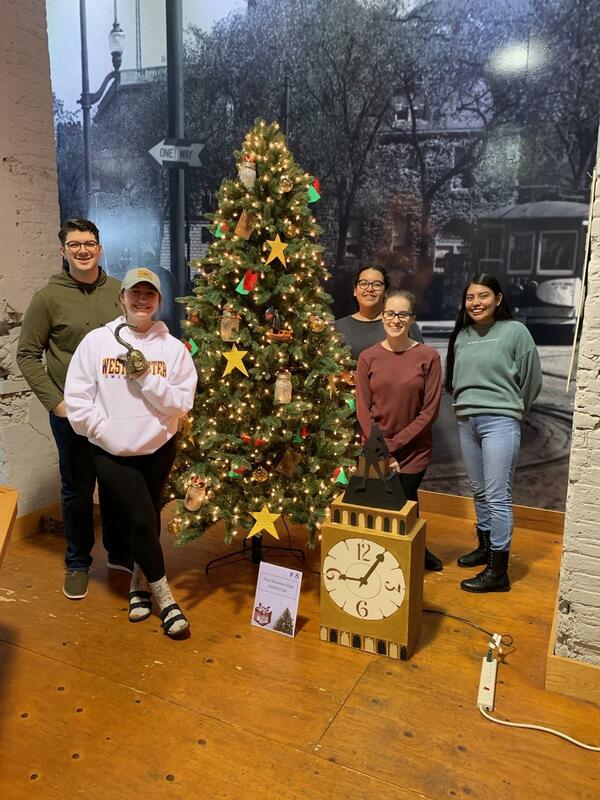 West Scranton has a second tree in the running in the annual "Trim a Tree" challenge at the electric City Trolley Museum! The SADD Club decorated tree #8, and was inspired by Peter Pan for this year's theme of "a fairy tale Christmas". The trees were trimmed by students from Lackawanna County school districts. West Scranton's other submission is a collaboration with Sumner Elementary. 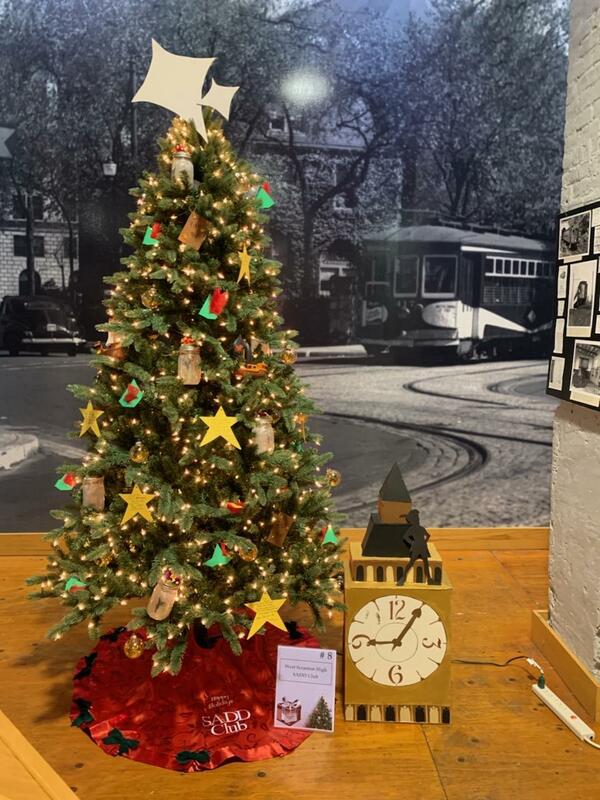 Please stop by and vote for our trees this holiday season! Trolley Museum admission is a special price $3.00. Picture 2 (L to R) are: Enzo Cicco, Emma Egan, Kylee Camacho, Kylie Hirshler and Milagros Cervantes.